Cala Santanyí is a beautiful sand and rocky calm water tourist beach. This cove is located where flows the stream of a river, forming this depression. It is a desirable refuge for the boats in windy days; when the north-northeast wind blows. Large boats share anchoring with the small boats of the local residents. 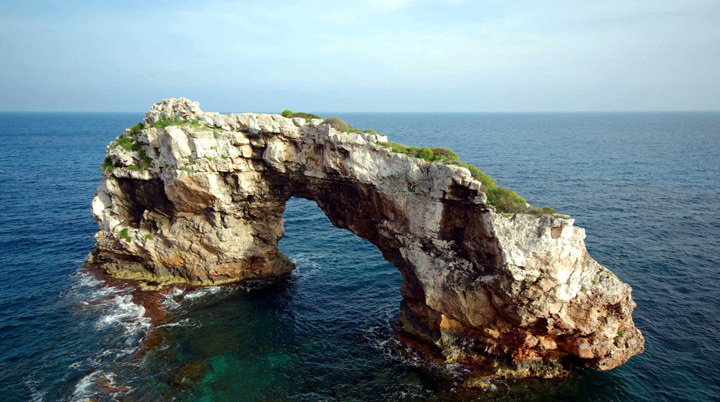 In the cove you can admire the "Pontas", a rock that seems a bridge eroded by the waves or "Sa Torre Nova", an old defensive tower.